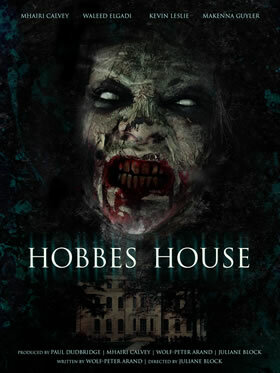 Zombie Project Ltd has joined forces with producer / director Juliane Block (8 Remains, 3 Lives) on a Brit Indie zombie action thriller, HOBBES HOUSE. Starring Mhairi Calvey (Abduct, Eden Grey), Kevin Leslie (Rise & Fall of the Krays), Makenna Guyler (King of Crime) and Waleed Elgadi (A Hologram for a King), the three-week shoot commences Feb 17 in locations around Bristol, UK. HOBBES HOUSE is produced by Juliane Block, Mhairi Calvey, Paul Dudbridge, Wolf-Peter Arand and exec produced by Malcom Winter and Monika Gergelova. Jodie Gibson (Kill Kane, Valley of the Demon), heads up the SFX make-up team.